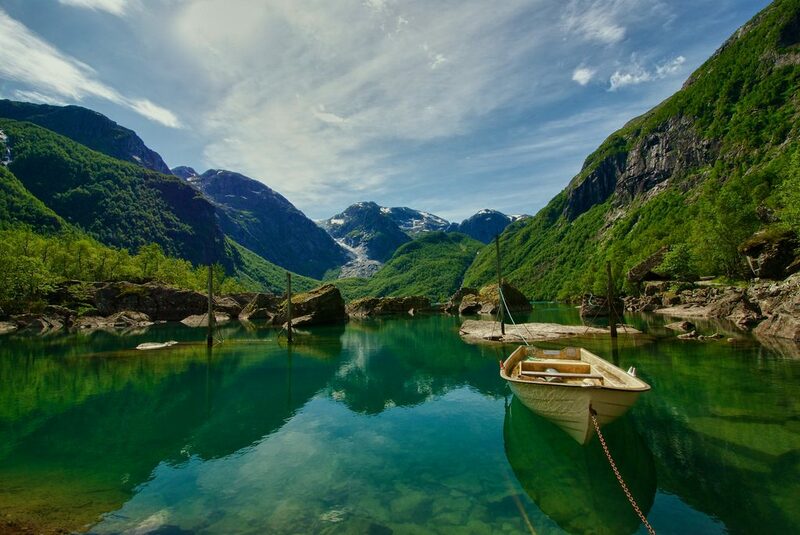 Explore Hardangerfjord and discover the beauty of the Norwegian countryside on this private full-day tour from Bergen. 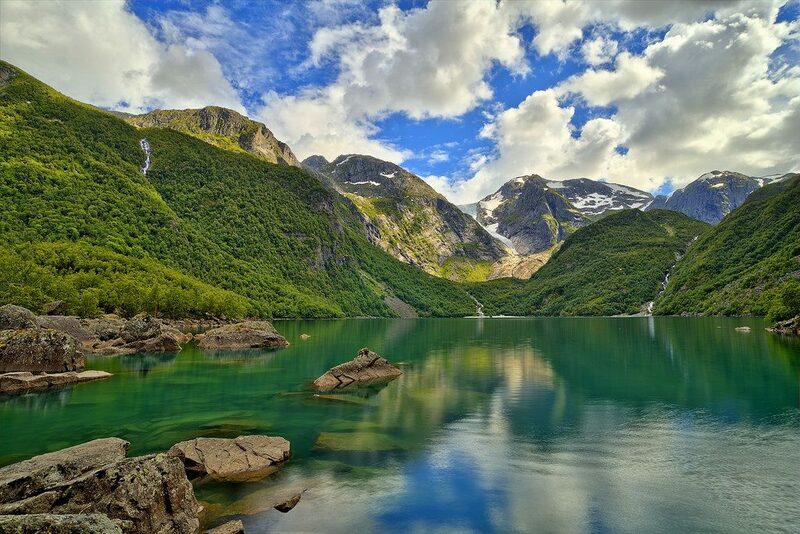 Travel through pretty Norwegian villages such as Eidfjord, Øvre Eidfjord, and Voss with a private guide, and admire panoramic views over the serene Hardangerfjord — widely considered among the region’s top natural attractions. Visit sites of interest including the Hardangervidda Nature Center (own expense), and gain insight into Norway’s native plant and animal life. This 10-hour tour includes round-trip travel from your Bergen hotel or the cruise port. Following a morning pickup at your Bergen hotel or cruise port, depart from Bergen at 9am and travel to Hardangerfjord with your private driver/guide. Along the way, enjoy sweeping views over the lakes and mountains and stop for photos at the Bratte and Steinsdals waterfalls. On arrival in Hardangerfjord, travel along the shoreline and marvel at the beauty of the surrounding scenery. 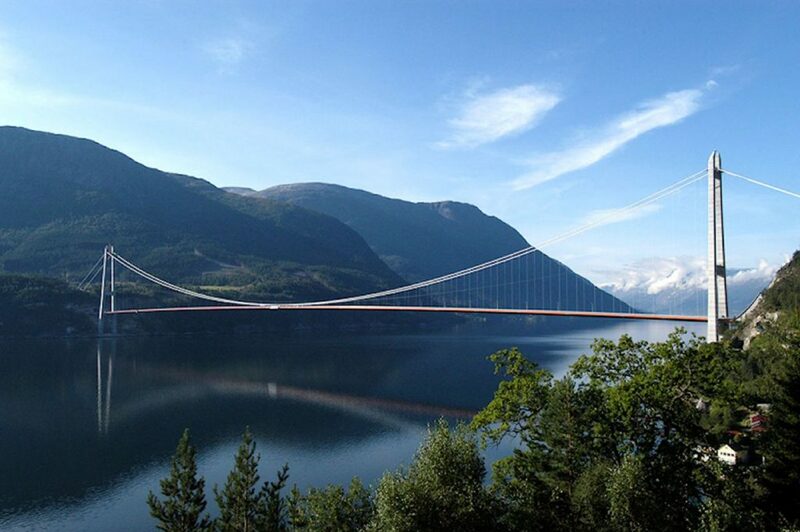 Cross the fjord by Hardangerfjord Bridge — one of the longest suspension bridges in the world — then pass the small town of Eidfjord on route to the village of Øvre Eidfjord. Here, visit the Hardangervidda Nature Center (own expense) — an exhibition of Hardangervidda’s diverse flora, fauna, and wildlife. Enjoy a traditional Norwegian lunch in a local café (own expense), then continue on to the waterfall Vøringfossen — widely considered the most impressive in the area. 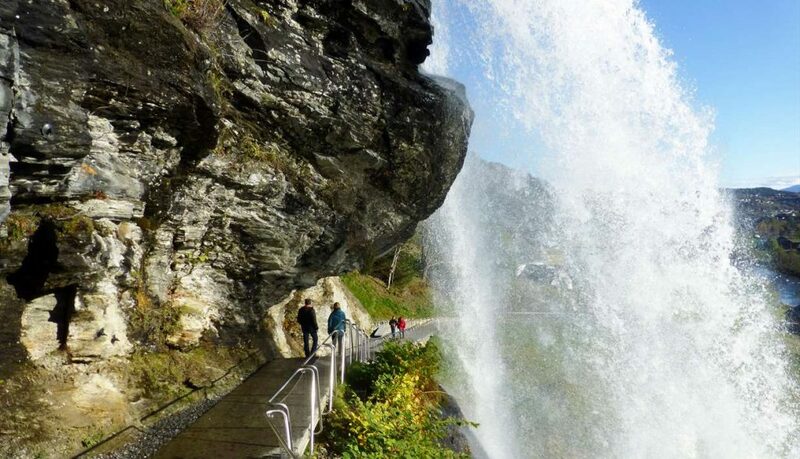 Walk along the platforms to take stunning pictures and breath the freshness of the waterfall. Finally, return by a different route via the town of Voss to your hotel in Bergen.